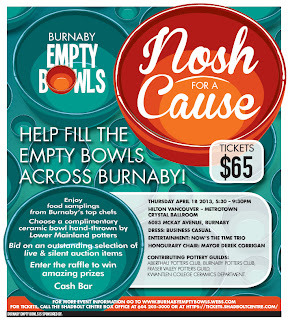 Recently, I was invited to attend the Burnaby Empty Bowls Fundraiser at the Metrotown Hilton. 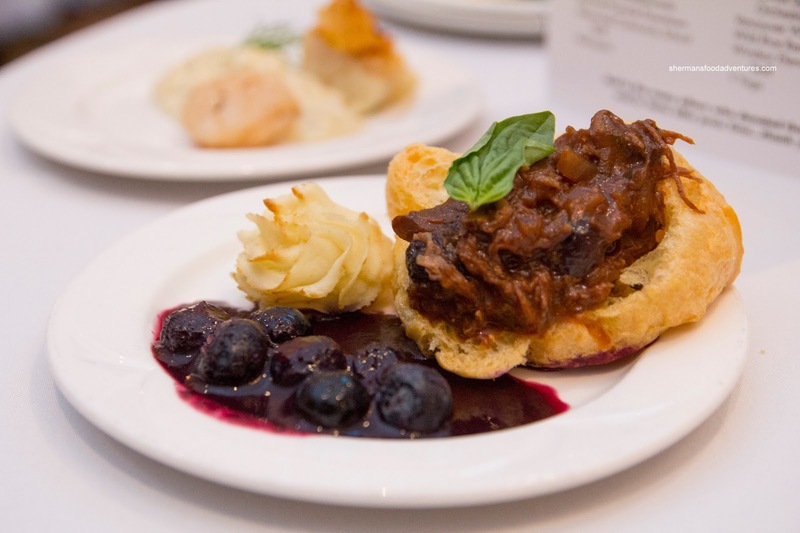 It is an biennial gala which helps raise funds support local programs for children, youth, and families in Burnaby that provides nutritious food and helps build skills that encourage healthy lifestyles. 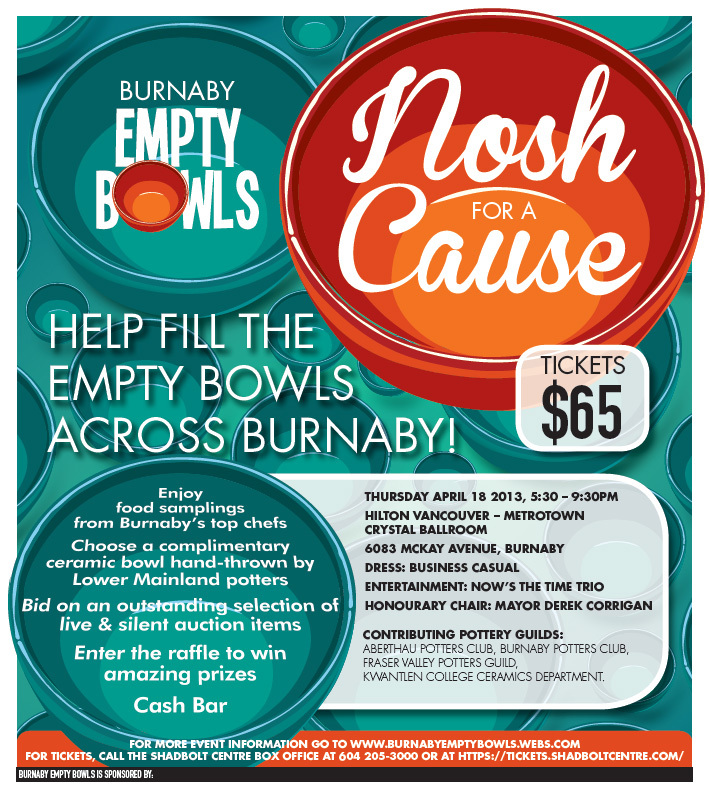 The Empty Bowls Project was originally launched in 1999 by Burnaby’s Food First Committee, a coalition of social service agencies and volunteers, to raise awareness of the existence of hunger and poverty in Burnaby. 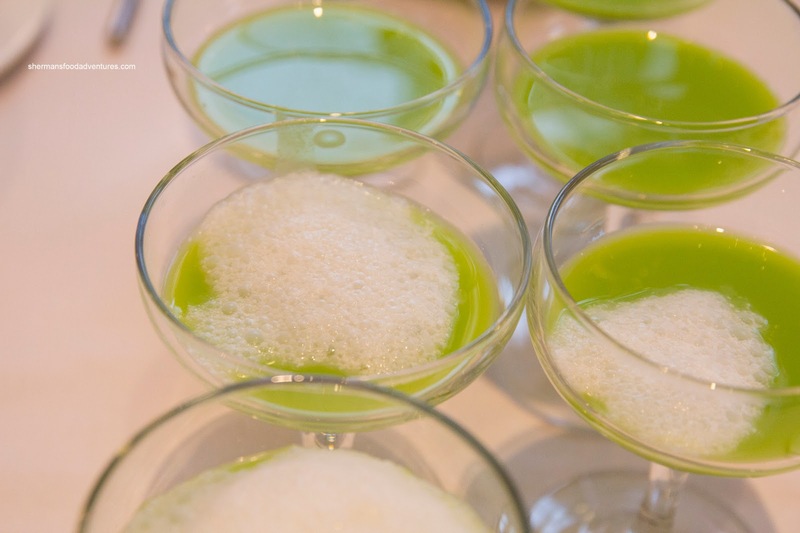 Participating vendors included The Pear Tree, EBO, The Hart House, Metrotown Hilton, Valley Bakery, Chez Christophe and the Burnaby School District's Ace-It Culinary Program. 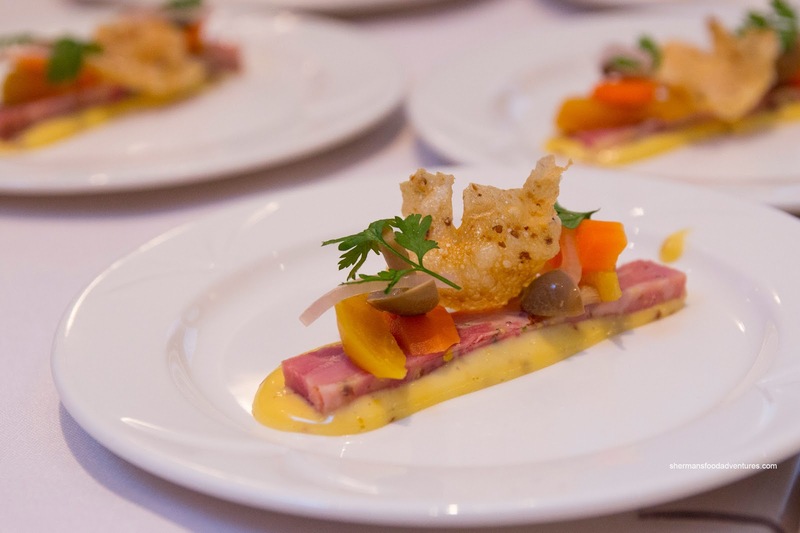 After we picked up our unique hand-made ceramic bowls, Viv and I headed off to the Pear Tree first where Chef Scott Jaeger and Stephanie Jaeger were plating the Ham Hock Terraine with pickled vegetables and mustard aioli. In typical Scott Jaeger fashion, the dish was intricately plated and pretty to look at. The narrow slice of terraine was topped with mushrooms and pickles resting on a an impactful mustard aioli. The saltiness of the hock was balanced by the sweetness of the aioli and the other components. The accompanying Spring Pea Soup was surprisingly light and refreshing. Naturally sweet, it went down easy. 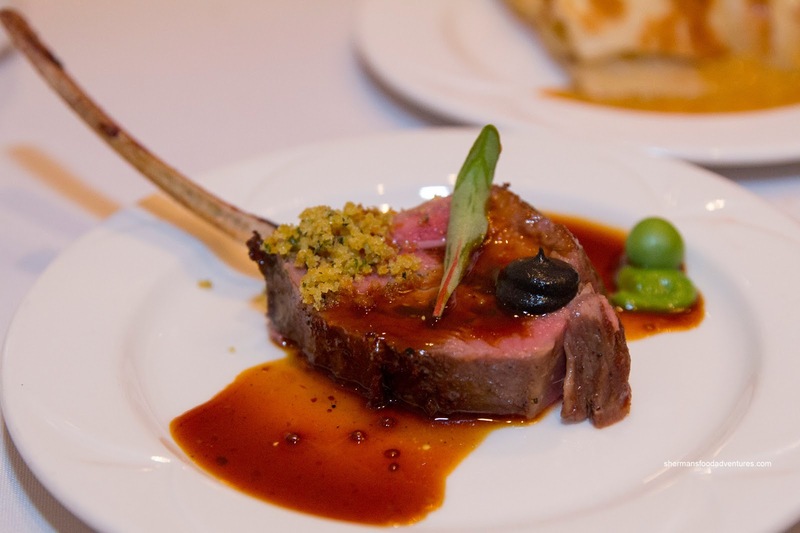 Next up was the Slow Cooked Lamb Chop with black truffle, mint and Dijon from EBO at the Delta Burnaby Hotel. This was our favourite offering of the event. Apparently we weren't alone with this sentiment as they had the longest lineup throughout the night. The lamb was super tender and practically fell of the bone. It was cooked medium-rare and had just enough natural flavour. The sauce was understated yet flavourful while the Dijon added a mild acidity. 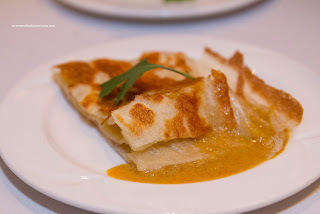 We also got a sample of their famous Roti Canai with red curry and it was freshly made being crispy on the outside while light and slightly chewy on the inside. 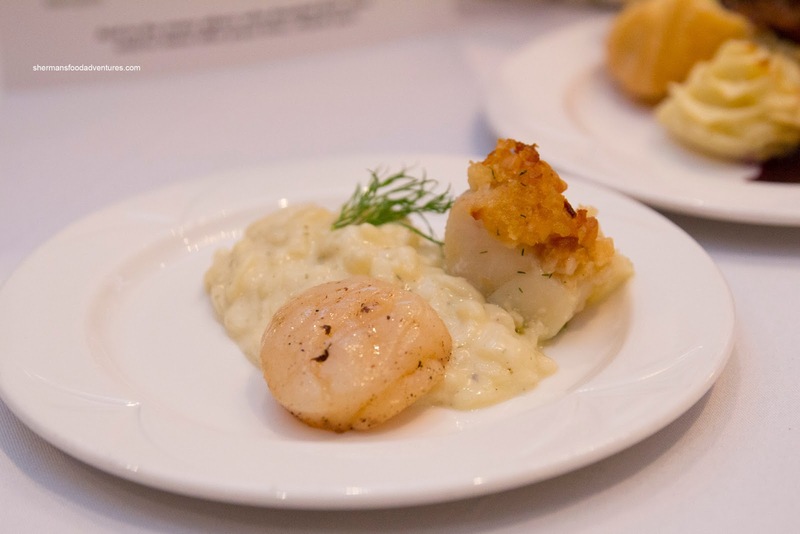 The students of the Burnaby School District's ACE-It Culinary Program offered up 2 dishes. The Duck Confit Ragout in choux pastry was fairly moist but the flavour profile was a bit too tart. We did like the big chunks of plump mushrooms though. The side of blueberries was a good accompaniment, but they were far too cold. As for the Macadamia Encrusted Cod Filet and Seared Scallop on a bed of orzo risotto, each item was slightly overdone while the orzo was too watery. The scallop was a bit rubbery as well. But props to them for a well-made dish considering the other heavyweights in the room. 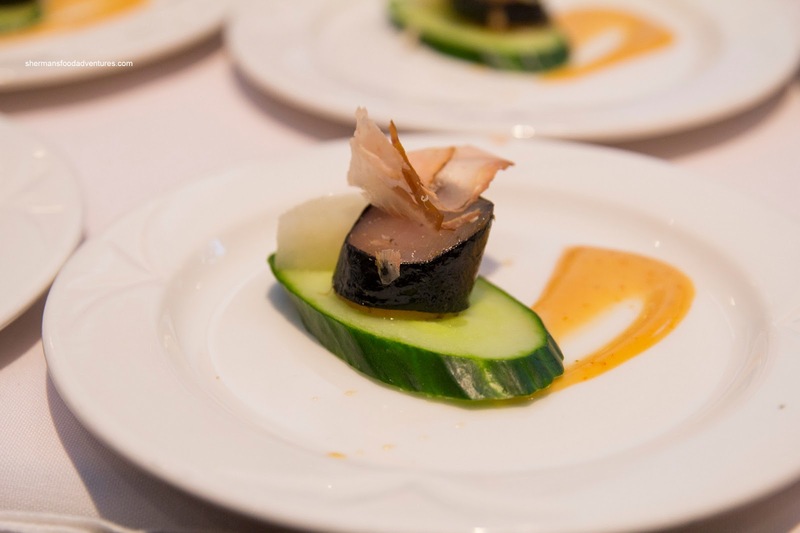 Over at The Hart House table, Chef Alana Peckham offered up Nori-Wrapped Albacore Tuna with cucumber, daikon, sweet shoyu aioli and bonito flakes. We liked the individual components as they were fresh and crisp. But together, the tuna got lost. Admittedly, this was probably the lightest dish at the event, so it was a nice break from the rich offerings. In terms of the Chilled Melon Gazpacho with honey dew, cucumber, jalepeni, cilantro and lime, it was interesting, but not our favourite. 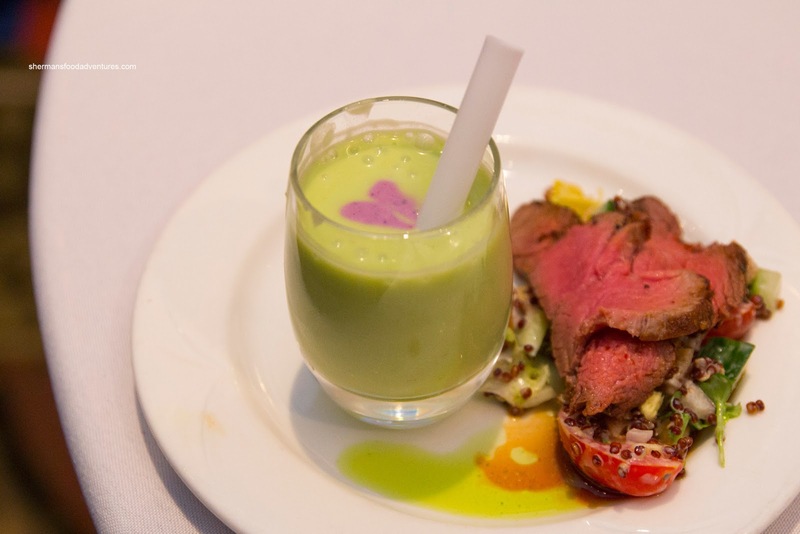 At the Metrotown Hilton table, the Harissa Rubbed Beef Tenderloin with red quinoa fathoush salad was prepared beautifully with a spicy bark on the outside while being medium-rare on the inside. It was soft and so easy to eat. 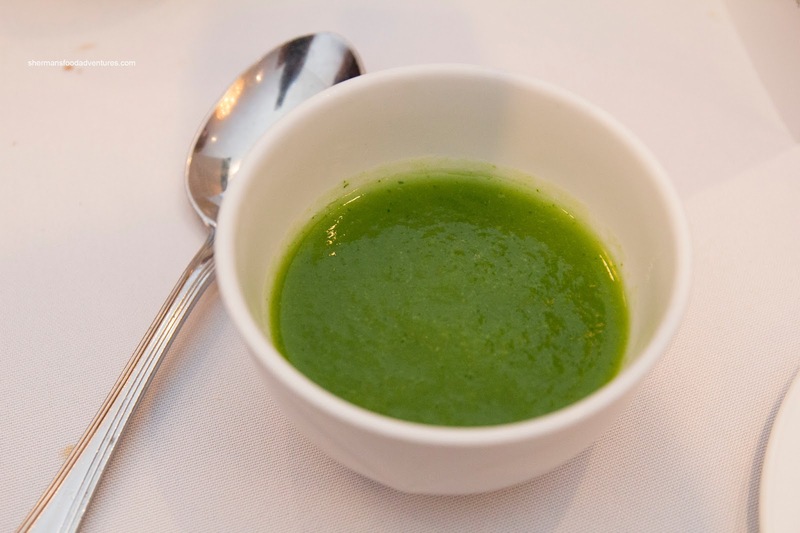 We loved the crunchy quinoa salad underneath as it provided texture and brightness. The accompanying Low Fat Avocado and Blueberry Laban was smooth and delicious. For dessert, the Valley Bakery offered up a delightful Pavlova. 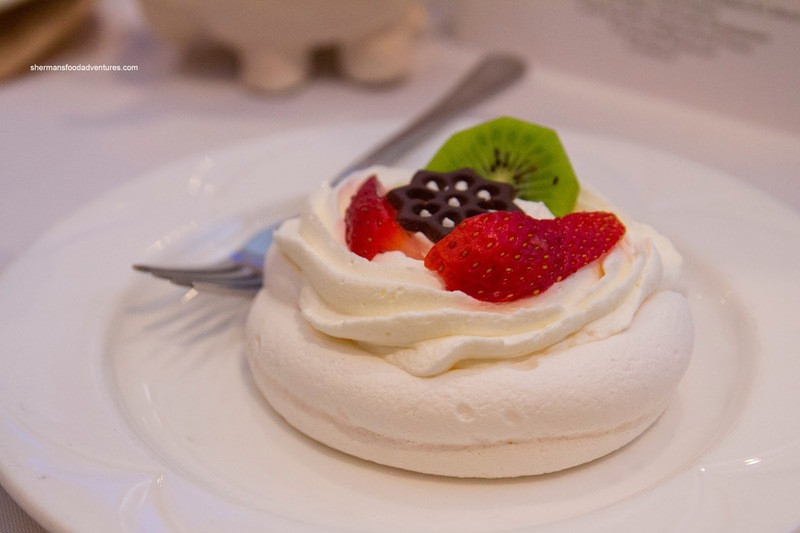 The meringue was airy and light. As a dessert, it was not overly sweet. 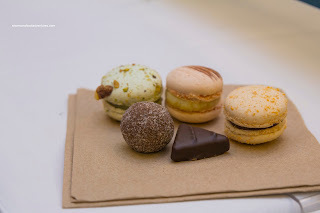 Lastly, we go to sample treats from Chez Christophe. 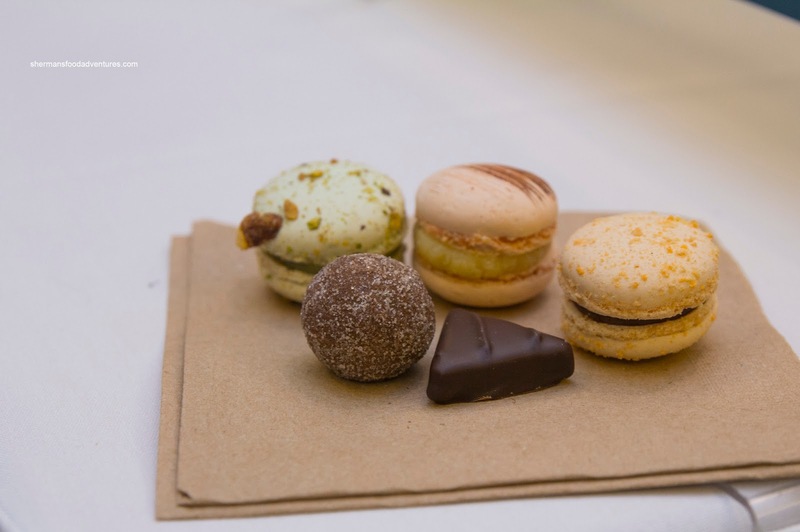 The Mini-Macarons were really nicely executed with a light exterior shell giving way to a soft chewiness. Flavours were apparent while not tasting artificial. The Chocolates were quite good too with a dark bitterness while melting into silkiness in our mouths. This little sample made me want to visit his store ASAP (which I did). This was a fine finish to a great event that supports worthy causes.